Winchester Hospital offers licensed acupuncture services as part of our integrative therapies. The cost is $75 per session, which in some cases may be covered by insurance. You would need to submit a claim yourself, as Winchester Hospital does not bill insurance companies for acupuncture services. For more information or to schedule an appointment with a licensed acupuncturist, please contact Winchester Hospital's The Center for Healthy Living at 781-756-4700. Mary Kinneavy, M.Ac., Lic. Ac, joined the Center for Healthy Living staff in 2015. She is a graduate of The New England School of Acupuncture(NESA) and was among the first licensees in Massachusetts. 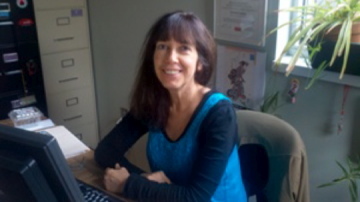 Mary has worked in public health clinics, private practices, and hospital-based clinics. During her tenure as a public health practitioner, she was part of a pioneering group that studied acupuncture in the treatment of HIV and other chronic diseases. She is a former faculty member and clinical supervisor NESA. Mary has been in practice since 1987. Joe Kelliher is a 1993 graduate of the New England School of Acupuncture. He was certified in Chinese herbal medicine in 1997, and received a Master’s Degree in acupuncture in 2000. In 1993 he founded the Acupuncture Center of Reading, a full-service, community based, private practice in Reading, MA. He was a core faculty member at the New England School of Acupuncture from 1995-2002. He has also been on the staff of the North Shore Medical Center and served as Co-Director of Acupuncture at Beth Israel/Boston IVF. He was the first acupuncturist on the Winchester Hospital staff in 1996, and has currently been on the staff of the Center for Healthy Living since 2006.